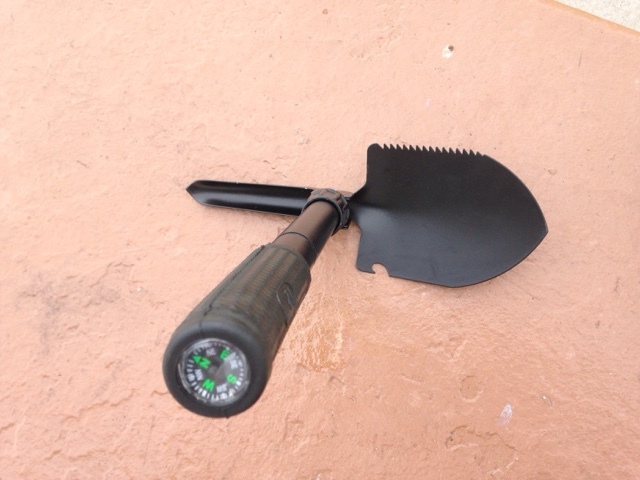 Recently I posted how I found a mini camping shovel to replace a small trowel I was carrying. Having a shovel has more than one benefit when camping. Luckily I haven't gotten my Prius stuck where I needed to move dirt. The primary purpose for having something to dig with is in the rules that often go along with disbursed camping on Federal Land. 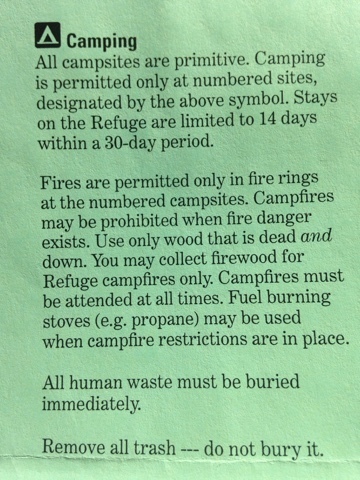 There is no services when disbursed camping and as the next to the last paragraph from the Buenos Ares NWR camping indicates, you need to dig a hole for human waste. I small trowel was difficult to use for this purpose, so the small shovel was a good find. How deep do you need to dig for burying human waste ? That's an excellent question that I haven't seen written on the Federal literature. I had been making mine 6 inches and they end up being 3 inches at the bottom and about 6 inches at the top with my little stainless steel trowel. With my new shovel I go 6+ inches and the width is a bit wider at 8 inches. It somewhat depends on the soil. I cover the hole and drag the surface to leave no mound.